Home Croakey news and projects Previous projects #cripcroakey CripCroakey NDIS Part 2: What’s gone wrong on the road from rights to reality? CripCroakey NDIS Part 2: What’s gone wrong on the road from rights to reality? In this second of a two part article on the NDIS, El Gibbs explores how the NDIS was meant to put an end to the “lottery” approach to support for people with disability, and challenges government and its administrators to live up to the promises of the legislation that governs it. Don’t miss the first part on recent developments in the NDIS that are creating major concern. It is published as part of Gibbs’ crowdfunded #CripCroakey series. The NDIS was the end of a long process that clearly showed that the disability support system was fundamentally broken. People with disability confronted a lottery that determined the type, cost and adequacy of the support they could get that depended on where they lived, what kind of disability they had, and the level of advocacy they could access. The system was profoundly unfair, and left many disabled people without the essential supports they needed. This support system was not about fancy things, but about the absolute basics – the right kind of equipment, such as wheelchairs and mobility aids; the right kind of support to make sure people could get out of bed, shower and have something to eat; the right kind of individualised support so that each person could get exactly what they needed. There was also hope that the actual service delivery model would change. The old support system was based on governments funding services directly, in block amounts of funding, to provide different kinds of support. This support was rarely designed by disabled people themselves, nor was there ever enough to meet the need for services which were rationed, and only available to those who needed it most, and had the advocacy to fight for it. There was no room in this system for a person to find the supports that suited them. No room to argue for the specific tailored supports that would fit with what they wanted but also actually go towards progressing the different dreams the individual had about being a part of the world. The support systems were also different in every state and territory and for different disabilities and ages. This is what is meant when a lottery is talked about – if you had a disability from a traffic accident in some states, lifetime support would be provided; if you fell off a ladder and got the same disability in another state, no support would be provided. The NDIS was imagined as a way to fix all this – to provide a national, universal system for supports that put the person with the disability, and their individual needs at the centre of both its design and delivery. To make sure that Australians with a disability would not face this kind of inequity in support and be able to be part of the community. Where getting support to go some way towards addressing the barriers people with disability face in accessing the world was normal and without effort. Where the rights of people with disability were seen to be as important as every other Australian. The NDIS was intended to break this old disability support model, and allow people with disability to access services that everyone in the community accessed, such as gardening and cleaning. In theory, this was to allow choice, but also to reduce the costs of disability support. People with disability would get a package that they controlled, spending money to find the supports that suited them best. Services would no longer be rationed or limited. They would not be a ‘one size fits all’ model that suited no one. They would be available everywhere, meaning that people with disability would get the same level of service wherever they lived. In this 2013 RampUp post, lawyer and Disability Council of NSW member Y’ael Finch summed up the many hopes that people with disability had about the NDIS and its potential to revolutionise their lives. 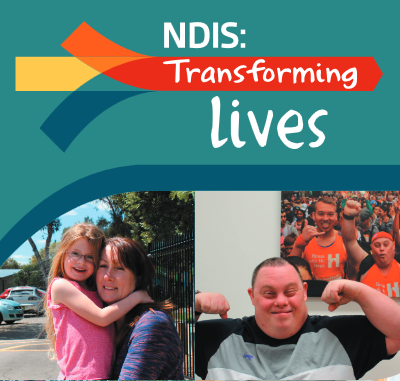 These very rights were baked into the formulation of the NDIS; they are part of the enabling legislation and were intended to guide the development of every part of the Scheme. Reading back over the principles set out in the legislation is sobering. What went wrong with the NDIS? What happened to these ideas about centring the rights of disabled people at the heart of the NDIS? Is there a danger in the NDIS becoming no more than a duplication of the old system, with political and economic pressures once more coming down on people with disability, to say ‘no, you don’t get to be part of the community at all’? People are being presented with rushed plans that are not individual or tailored to the person’s needs. Plans are based on what supports people had been able to get in the past, and are also not reaching out to other non-disability services. The recent problems with the IT system the NDIS uses are symptomatic of the growing gap between the initial rhetoric about choice and control and the reality of a Scheme that is expanding in a way that is far removed from the lofty goals of the legislation. She compares the Government’s response to the portal complexity and IT issues to those raised by small business to concerns around the GST. “Within a short timeframe government got the message and completely redesigned how payments were made and today there is a quarterly reconciliation process used to submit GST payments to the Tax Office. Small business are trusted to be doing this correctly and are subject to auditing in the same way as all other taxpayers. Accounting software is now built to manage this. No such respect for people with disabilities. Again, this says that there is a fundamental disconnect between the initial NDIS legislation that was intended to build on the rights of people with disability and this attitude that disabled people are bludgers and a drain on the budget. This broken link between rights and the supports need to make them possible, does not bode well for the development of a new system of disability supports that actually delivers on all that was promised and fought for. Keeping the focus on the rights of disabled people to be able to live a full life is essential to the success of the NDIS. Otherwise the new system may end up looking a whole lot like the old system. What’s on the menu at the national obesity summit this week?